Disclaimer: This post is NOT sponsored, but there are affiliate links that you can buy from at no extra cost to you. As artists, it’s only natural for us to pour ourselves in our creative endeavors. In my case, whenever I work on a project I always prefer to do most things from scratch—hand-letter my own words, digitally paint my own textures, animate my own effects, and so on. While this definitely adds a unique, personal touch to the project, time and money are unfortunately not as flexible as we’d like. Oftentimes it’s just more practical—and sane— to work smarter instead of harder! 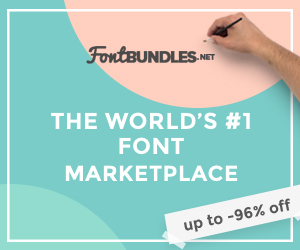 Fortunately there are hundreds of resources for all kinds of art and graphic design work…fonts, textures, illustrations, photos, patterns, mock ups, animation, photoshop templates, after effects templates—we are practically spoiled rotten with the choices! Here are some awesome sites that I use for graphic design resources, and what makes each of them amazing! There was a time when I first started making animated shorts where, after spending countless hours working on the animation and finding just the right background music for it, I considered skipping the sound effects (SFX) altogether. It was just extra time and effort to search through countless websites for the right sound! But then I tried inserting some easy-to-find SFX for a few seconds of my animation, and I have to say it truly does make a BIG difference. If there was one skill I badly wish I could do, it would be the ability to play instruments and compose my own music for my short animation. How fun (and convenient) would it be to animate to whatever background music you could create? It definitely would’ve saved me a lot of stress in my thesis days!